More and more people are visiting their doctor complaining of fatigue. 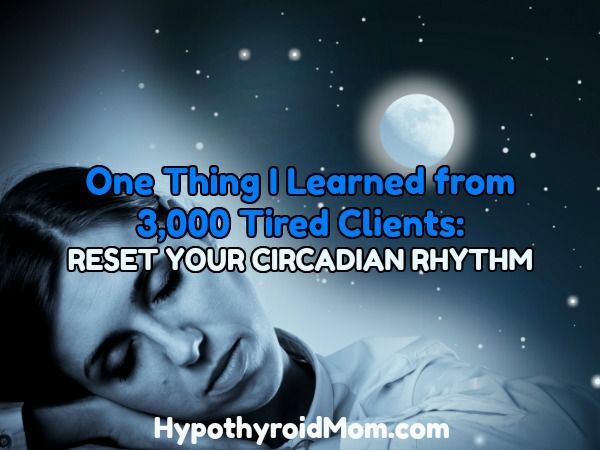 After working with over 3,000 clients experiencing fatigue, there is one important thing that I’ve learned: the single biggest cause of chronic low energy and daytime tiredness is circadian rhythm disruption. What does circadian rhythm have to do with why I’m so tired? All of life on this planet has evolved in alignment with the daily 24 hour pattern of light and dark and as a result the physiological and behavioural processes of all organisms including humans is synchronized to this 24-hour cycle. 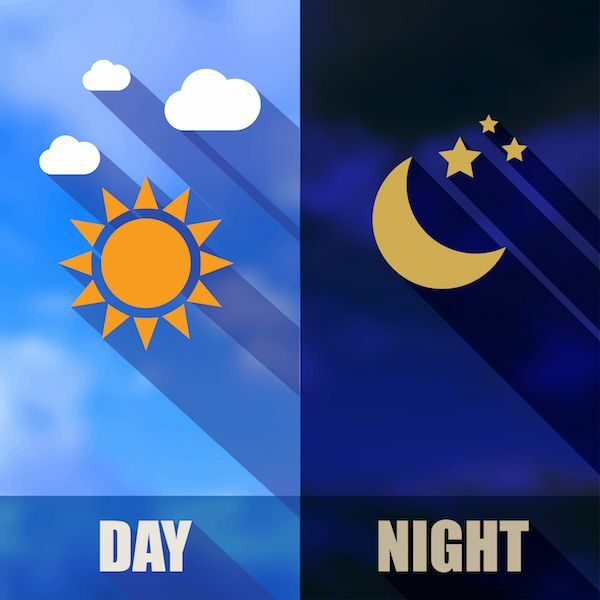 The circadian rhythm is simply your body’s biology responding to the external signals of light and dark. The circadian rhythm regulates your waking and sleeping cycles and it regulates all sorts of hormones and neurotransmitters in your body that impact your mood, motivation, body fat, metabolism, cell regeneration, and of course your energy levels. Some of the latest research on circadian rhythm is now telling us just how important its role is in our health, energy, susceptibility to disease, and ill health symptoms including common diseases such as diabetes, obesity, and depression. While everyone in the health sphere has implored us for the last several decades to work on “diet and exercise”, the research now indicates that experts have been leaving out a major aspect of optimizing energy levels, health, and body composition that is as important as both a good exercise program and a good nutrition program: A good circadian rhythm program. The modern world we live in is fundamentally mismatched to the signals our biology (and our circadian rhythm in particular) is designed for. The result of which is sleep issues and fatigue. As creatures of the earth we are designed for an outdoor existence in tune with the rise and fall of the sun. We’re not designed to be indoors almost all day, and then to stare at artificial light sources (e.g. TV and mobile device screens) at night after the sun sets. As a result virtually all of us in modern society are suffering from one degree or another with circadian rhythm disruption. As human beings we are designed to be exposed to lots of natural sunlight and the bright outdoor sky for hours each day, starting first thing in the morning after we wake up. We’re also designed to have little to no light around after the sun goes down – except for moonlight and firelight, which don’t disturb circadian rhythm. Artificial light from our electronic devices (phones, TVs, computers, indoor lighting, etc.) affects our body just like the blue/UV light we get from the sun. Today, it is no wonder we’re having trouble getting asleep or that our circadian rhythms are so disrupted. Our brains are being cued it’s daytime by artificial light constantly. 1. Circadian rhythm disruption weakens mitochondria and makes them susceptible to damage. Mitochondria are the energy generators of the cell. You might remember them from your biology courses in high school where they told you that mitochondria are the “powerhouse of the cell”. It’s their job to create energy using the oxygen you breathe and the food you eat. The energy they create is produced in the form of ATP (Adenosine Triphosphate) which is then used to power all cellular and metabolic processes that take place in your body. Mitochondria are so important to the way our bodies function that we have between 500-2,000 mitochondria in almost every cell of the body. The most powerful antioxidant produced by the body is melatonin which plays a major role in protecting mitochondria from oxidative (free radical) damage. Oxidative stress not only damages your mitochondria but it also triggers them into hibernation mode (Cell Defence Mode). Which means much less energy for your cells and body. A healthy circadian rhythm is critical to healthy melatonin levels. 2. Circadian rhythm disruption causes gene expression changes that control mitochondrial function. Amongst other effects altered gene expression caused by a blunted circadian rhythm has been associated with an increase in aging of the mitochondria, impaired communication between mitochondria and the nucleus of the cell, increased inflammation and a reduction in ATP production in the mitochondria. 3. Circadian rhythm disruption impairs autophagy. Autophagy is basically the process by which your body eats and digest all the broken down and damaged parts of the cell and rebuilds new healthy parts. It’s like the recycling on a cellular level. It is critical to maintaining healthy mitochondria and slowing down the aging process. 4. Circadian rhythm disruption causes hormonal dysregulation and fat gain. Poor circadian rhythm affects important hormones, neuropeptides, and gene expression that play a major role in energy levels, appetite, body composition, metabolism, and health. For example leptin levels and growth hormone levels are lowered, cortisol levels are raised and other important hormones and neurotransmitters are affected such as ghrelin and endocannabinoids. Think fat loss is just a matter of “eat less and exercise more”? Think again. 5. Circadian rhythm disruption hinders the restoration of energy stores in the brain. 6. Circadian rhythm disruption damages blood sugar regulation. 7. Circadian rhythm disruption hinders the clearance of toxins from the brain. One of the primary functions of sleep is to help clear toxins out of the brain which are produced in high volumes simply through the process of thinking and coordinating bodily processes. When these toxins build-up they lead to brain inflammation and cell damage and eventually chronic fatigue. During sleep the body removes these toxins from the brain through a process known as the “glymphatic drainage.” Circadian rhythm disruption hinders the removal of toxins from the brain, and this results in chronic inflammation and damage to the brain, which lowers energy levels. How do you reset your circadian rhythm? 1. Turn your devices off and get them out of the bedroom. To do this avoid watching TV or using a computer or tablet at least 1-2 hours before sleep, turn them off along with your Wi-Fi router at night, and ensure your mobile phone is nowhere near your head for at least an hour before sleep and turn it off or put it on airplane mode before bed (and at least 6 feet away). 2. Sleep in complete darkness. If you wake up at some point during the night, it is critical that you do not turn on any lights—to go to the bathroom or for any other reason. Any light exposure during the sleep period — even just for a few seconds — will disrupt circadian rhythm and impair the normal physiological repair processes that need to occur while you sleep. Room darkness is consistently ranked by my clients as one of the most important factors for a good night’s sleep. For this I recommend using blackout curtains in your bedroom or a sleep mask. 3. Block blue light for 2 hours prior to bed. Blue light at night will alter gene expression of circadian clock genes and disrupt the whole hormonal symphony that relies on proper circadian signaling. Specifically, it will suppress melatonin and phase shift circadian rhythm. It will also blunt the normal rise in prolactin and growth hormone at night, which has profound consequences on your health—accelerated aging, increased risk of cancer, and neurodegenerative disease, and blunted energy levels. After the sun goes down, you want to minimize or eliminate your exposure to blue light. o Changing lightbulbs. The indoor house lights that you use at night in your house especially your bedroom should be lamps that have amber or red bulbs. o Using candlelight. Light from a candle is within the red/yellow/orange spectrum and does not trick the brain to think it is day. o Wearing blue blocker glasses. Blue blocker glasses should ideally be worn for at least 1 hour prior to bedtime, preferably 2 hours. These are the ones I recommend. 4. Get sunlight during the first 30 minutes after you wake up. This is essential to creating optimal peaks in your circadian rhythm. To do this get outdoors in sunlight within 30 minutes of waking and try to stare at the bright sky in the direction of the sun but not directly at the sun for at least 10 minutes. This can be done while exercising or going for a walk. If you live in a place where you can’t get morning sun because it’s overcast or it’s still dark when you awake then you can use a light therapy box or SAD lamp. Ari Whitten is the #1 bestselling author of Forever Fat Loss . He holds two advanced certifications from the National Academy of Sports Medicine and recently completed coursework for his PhD in Clinical Psychology, an education which rounds out all aspects–nutrition, fitness, and psychology–of his approach to optimal health. 1.Holzman, D. C. (2010). What’s in a Color? The Unique Human Health Effects of Blue Light. Environmental Health Perspectives, 118(1): A22–A27. 2.Roenneberg. T. et. al. (2003) Life between clocks: daily temporal patterns of human chronotypes. 3.Adaes, S. (2016). How modern society taints our circadian rhythms. 4.Venkatramanujam, S. (2011). Melatonin in Mitochondrial Dysfunction and Related Disorders. International Journal of Alzheimer’s Disease. 5.Gomes AP, Price NL, Ling AJ, et al. (2013) Declining NAD(+) induces a pseudohypoxic state disrupting nuclear-mitochondrial communication during aging. Cell. 2013 Dec 19;155(7):1624-38. 7.Gallí M, Van Gool F, Leo O. (2011) Sirtuins and inflammation: Friends or foes? Biochem Pharmacol. 8.Gomes AP, Price NL, Ling AJ, et al. (2013) Declining NAD(+) induces a pseudohypoxic state disrupting nuclear-mitochondrial communication during aging. Cell. 2013 Dec 19;155(7):1624-38. 9.Di Ma., et. al. (2012) Circadian autophagy rhythm: a link between clock and metabolism? 11.Laposky AD., et. al. (2008) Sleep and circadian rhythms: Key components in the regulation of energy metabolism. 13.Dworak M, et al. (2011) Delta oscillations induced by ketamine increase energy levels in sleep-wake related brain regions. 16.Arnetz, B. B. et. al. Effects from 884 MHz mobile phone radiofrequency on brain electrophysiology, sleep, cognition, and well-being.